Brunswick stew and burgoo, distinguished by their regional differences, vie for serving rights alongside barbecue. Brunswick stew is always a crowd-pleaser in the South. 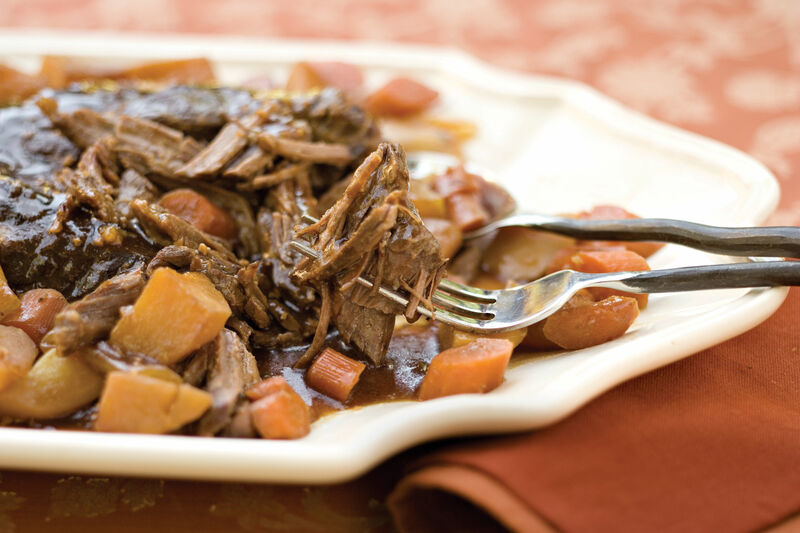 We combine chicken and tender beef brisket in this hearty version. You won't be able to get enough. Burgoo (ber-GOO), native to Kentucky, is a thick stew flavored with chicken, vegetables, and mutton (lamb aged more than two years). In contrast, Brunswick stew contains no mutton. Both Brunswick County, Virginia, and St. Simons Island, Georgia, claim to be the home of hearty Brunswick stew. Seasoned with barbecue pork, chicken, and sometimes ground beef, Georgia's stew is more tomatoey than Virginia's. Brunswick stew also shows up on barbecue menus in North Carolina and other spots in the Southeast. 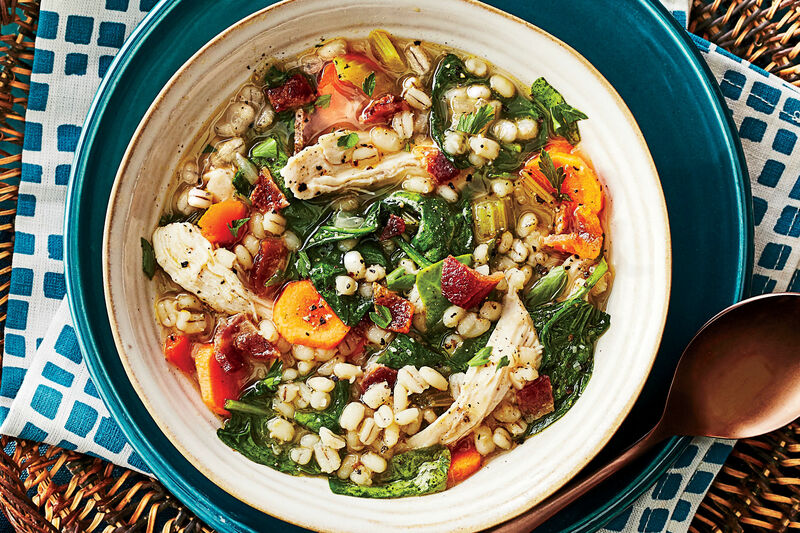 Wherever you are and whatever stew you prefer, our versions will satisfy your hankering. Like Brunswick stew, burgoo often features corn and other chopped vegetables such as potatoes, onions, and cabbage. But the mutton in this stew provides its distinctive gamey flavor.